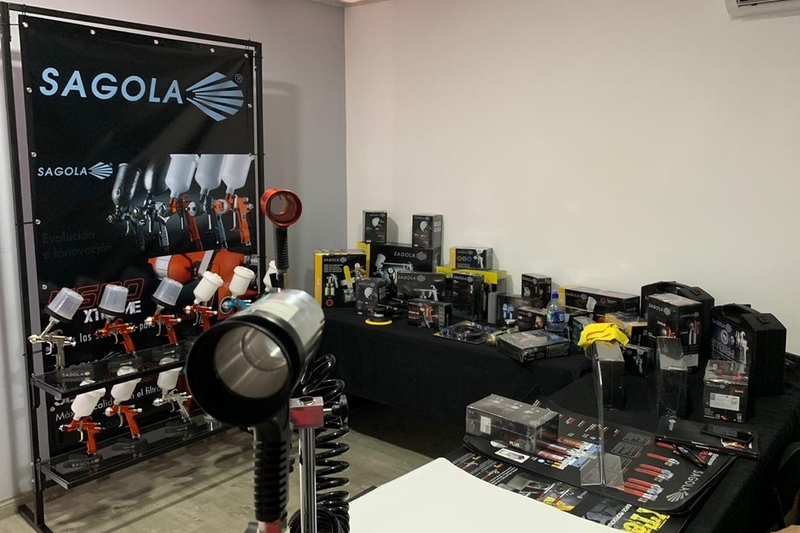 During the days of November 23-24-25, Sagola official distributor for Costa Rica, Comercializadora Automotriz 4J, has held an extraordinary exhibition at its new facilities of BesaCam, which has been attended by the main customers of 4J. A wide range of Sagola products for refinish were shown in this trade show that was very interesting and successful. From Sagola, we want to sincerely thank Jonathan and the whole team of Comercializadora Automotriz 4J, all their dedication and good work during this fair.